With the Padres Membership program you can enjoy your customized member benefits all year long. With the conclusion of the 2013 baseball season occurring in October, the Membership program was just getting started. During the month of October our Platinum Business Members had the opportunity to take Batting Practice from home plate at Petco Park, complete with their personalized at-bat song playing over the stadium PA. Our Gold and Platinum Social Members enjoyed a VIP Tailgate Reception prior to watching the San Diego State vs. Fresno State football game from Club level seats. We hosted our third installment of the Padres Networking Series for Gold and Platinum Business Members atop the University Club overlooking downtown San Diego. We also presented the 2nd Annual Padres Membership Fantasy Camp that gave campers the opportunity to live like a big leaguer for a day. 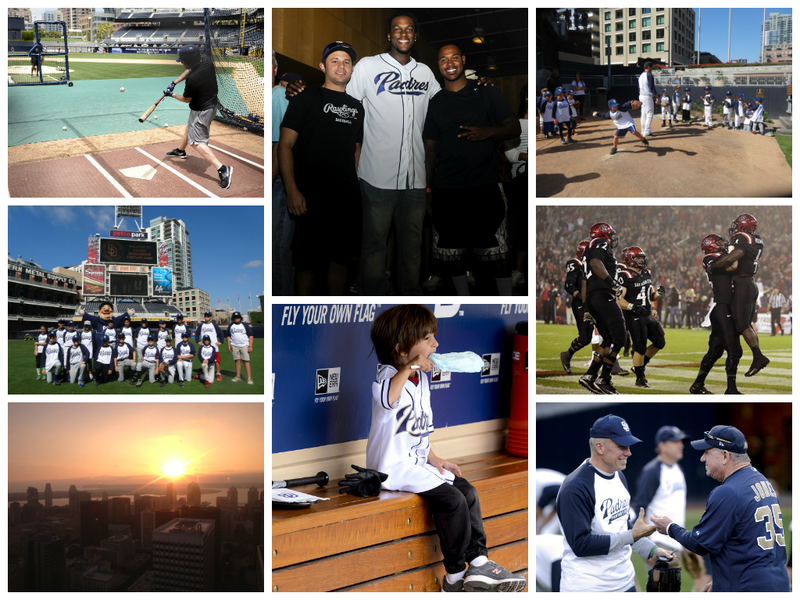 We thank all of the Members who attended events in October and appreciate your continued support of Padres baseball. If you have not already renewed your 2014 Padres Membership please do so here so you do not miss out on your 2014 benefits!